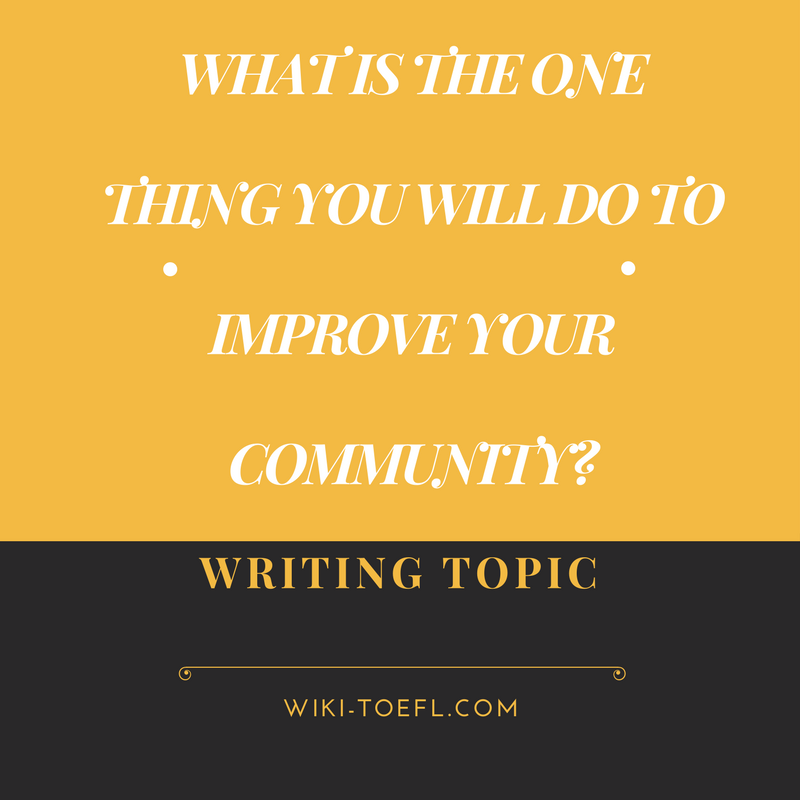 Home Writing	Topic: What is the one thing you will do to improve your community? You have decided to give several hours of your time each month to improve the community where you live. What is one thing you will do to improve your community? Why? Books on different lifestyles, occupations, cultures, or governments will open new doors to students. Students who can’t read will only know what they see around them. Students who can read will be able to travel to new worlds and experience new ideas without ever leaving their classrooms. Today, a person who can’t read is severely handicapped. A non-reader will have to work at the most menial jobs. Readers, especially good readers, have the whole universe open to them. They will have the possibility to learn any job that interests them. By volunteering to help an elementary school child learn to read, I am helping him or her not only today, but for the rest of his or her life. I am helping them keep pace with their peers and explore the world and themselves through books.